The Makita DCJ200Z Series 18V LXT® Lithium‑Ion Cordless Heated Jacket is built with up to 28 Hours of runtime (with BL1850 battery, sold separately) to keep the wearer warm in Harsh Canadian Environments. And has 3 heat temperature settings to adjust to changing weather conditions. 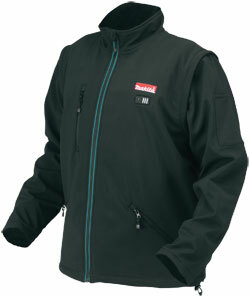 The ON/OFF LED Heat Controller is built into the the outside Chest of the Jacket for ease of use. 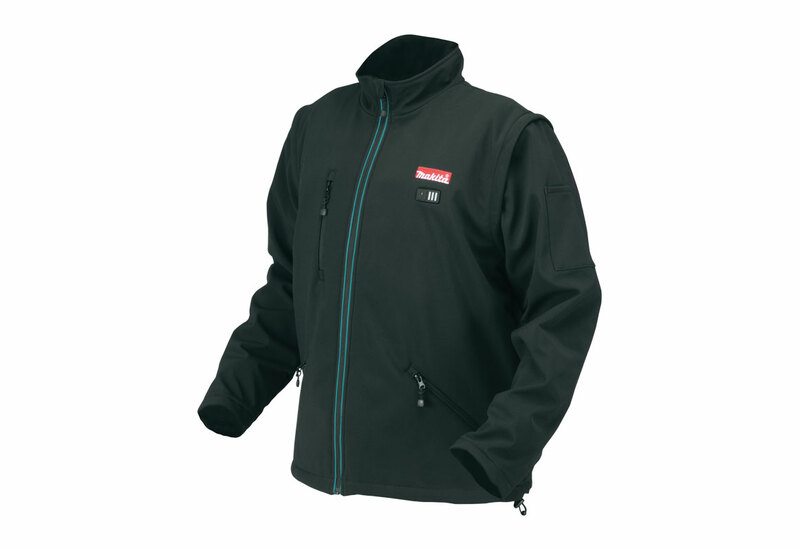 Built with a soft fleece-lined collar is tailored for increased user comfort, even when fully zipped-up. The knitted storm cuffs and drawstring waist provide a better fit to help keep the cold weather outside. Removable zip off sleeves quickly converts the jacket into a vest! Keep your portable electronic devices charged-up with the convenient on-board USB power port.